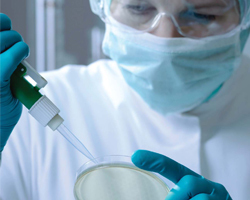 ProteinCT offers a selection of services covering various aspects of protein functional research, including gene synthesis, codon optimization and verification services, custom antibody services, custom protein expression and purification services, structural biology services, protein variant analysis, protein characterization services, stable cell line construction and more. Our services are focused on producing functional proteins and the study of functional proteins. Each service is designed and performed by service scientists with extensive experience in the corresponding research area, and our Ph.D level customer service specialists are readily available for guiding you through each project, providing professional consultations at no additional cost. We also offer a collection reagents and instruments for basic lab research needs. Our offerings cover cancer and disease studies, stem cell research, neuroscience, epigenetics, cardiovascular research, viral infections studies and more. Our service list is constantly growing to meet your research daily needs, facilitating basic research and drug development R&D. To suggest a service to be included in our list, please email info@proteinct.com. We appreciate your feedback.